As soon as you get your license it can feel as though you are the most experienced driver around, with the skill of being able to simultaneously drive a car and look at what’s happening around you. You’ve seen the signs (literally) at the bus stop, on billboards, and even in magazines; Being distracted while you drive is dangerous. However, despite the bombardment of messages, too many drivers continue to drive with their attention elsewhere. If this sounds more familiar than you would care to admit out loud, below is a post from Synthetics Northwest to help you avoid two of the most common distractions while driving. You sit in your car and wait for it to warm up. While you wait, you get settled, prepare your car, and choose a song to start the drive-off. Once you start driving and about two or three songs later the music takes a turn and isn’t what you want to listen to while you drive. 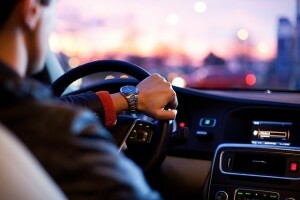 Instead of pulling your vehicle over to safely change the music, you fumble around either for your phone or you press random buttons on your car-radio in an attempt to stop the music. After a short few seconds, you become so frustrated that you take your attention off the road to find your phone or to press the right button. Don’t worry, though - it’s only a few moments! If you have any other regular drives that you complete then be sure to create a playlist for those, also. With these created, once you are ready to drive you can easily choose the right type of music for the drive ahead. No more getting bored on the way to work or falling asleep on your way home! Click here to buy AMSOIL Signature Series 0W-20 Synthetic Motor Oil and give your engine performance a boost. Check out the online store or speak with an expert at Synthetics Northwest by calling (888) 283-3580 (Toll-Free) to find out more about how a synthetic oil change in Salem, OR can improve your car’s performance or place an order. You start your car and begin your drive to the supermarket. While you are driving you hear your phone beep to alert you to a new message. While you aren’t sure just who the message is from, you are entirely sure that if you don’t read and answer it then the world as we know it will end! Instead of leaving it or pulling over to look at it, you fumble around the passenger seat or your bag to find your phone. Of course, you can’t easily access it without looking so you take your eyes off the road for just a few moments. Once you have your phone in your hand, of course you will feel the need to read and reply to the message, again only taking your eyes from the road for a few moments to complete the task. While it can seem incidental, the small instances where your eyes leave the road is all that’s needed to cause a serious car accident. Instead, consider the below: You start your car and begin your drive to the supermarket. Followed by the beep, your phone speaks out loud to you to announce who the message is from and offers to read it to you. With a simple vocal ‘Yes’, the important message about the world ending (turns out it was just arranging dinner with friends) is read out loud to you as you drive. Once it has finished you will also have the option to reply via your voice, also. The message is read and answered and you continue driving without taking your focus off the road. By using the built-in voice assistant, the driver in the second scenario is able to both tend to their personal messages while maintaining their focus on the task at hand - driving. Once you have finished making your playlists from the tip above, take a look through your phone and find the digital assistant. The model of your phone will determine just how functional your service can be, however, even the most basic phones will offer a service which can provide the above tasks while you are driving, you just have to take a few minutes to set it all up, first. Keep your dashboard free of flashing lights and distractions by maintaining good engine health. In addition to your regular mechanic visits, a synthetic oil change in Salem, OR done at home can help improve the performance of your engine and work to extend its lifespan. If you aren’t sure which is the best product for your vehicle and needs, check out the online store or speak with an expert at Synthetics Northwest by calling (503) 371-7184 to find out more or to place an order.